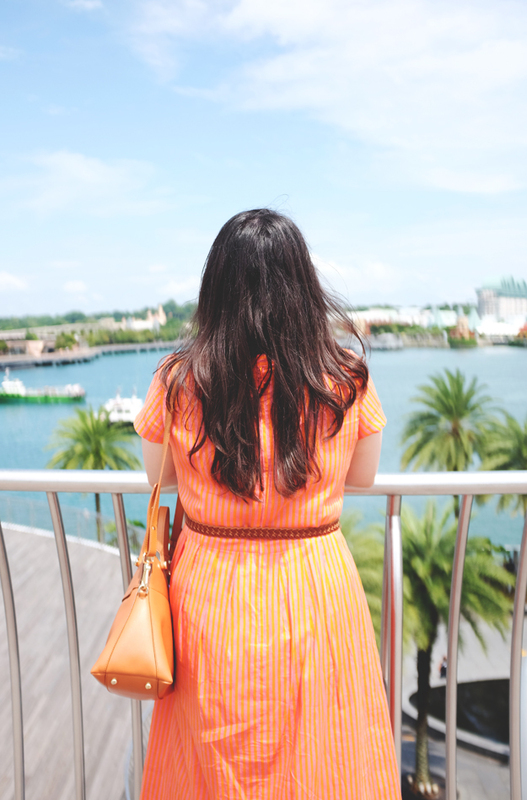 As promised, my Singapore trip diary. 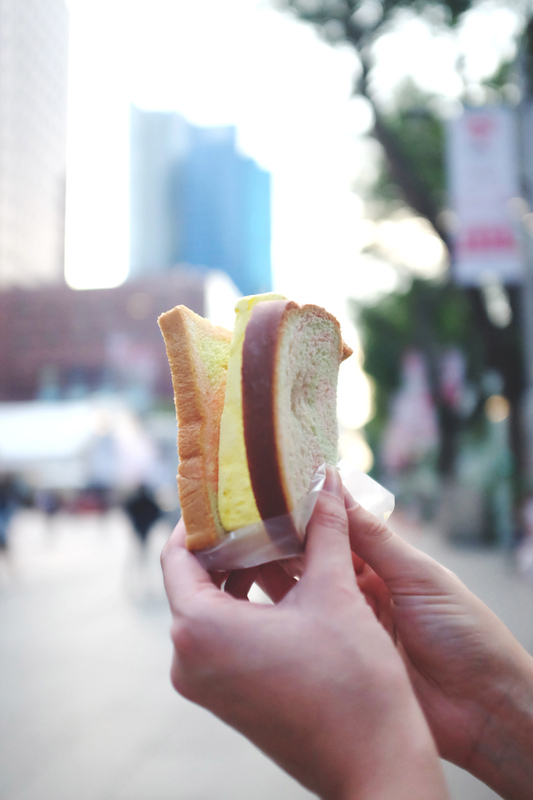 To be honest, looking at these 25 photos, it's more like a food diary! But nonetheless, I hope you guys will enjoy looking at these mouthwatering delicacies and maybe add some places to try on your list. Our first stop after checking in at the hotel (V Hotel Lavender, I highly recommend it) Wee Nam Kee Chicken Rice restaurant at Marina Square. This one is as good as it looks like in the photo. And it's not expensive at all. If I'm not mistaken, it's around SG$5. 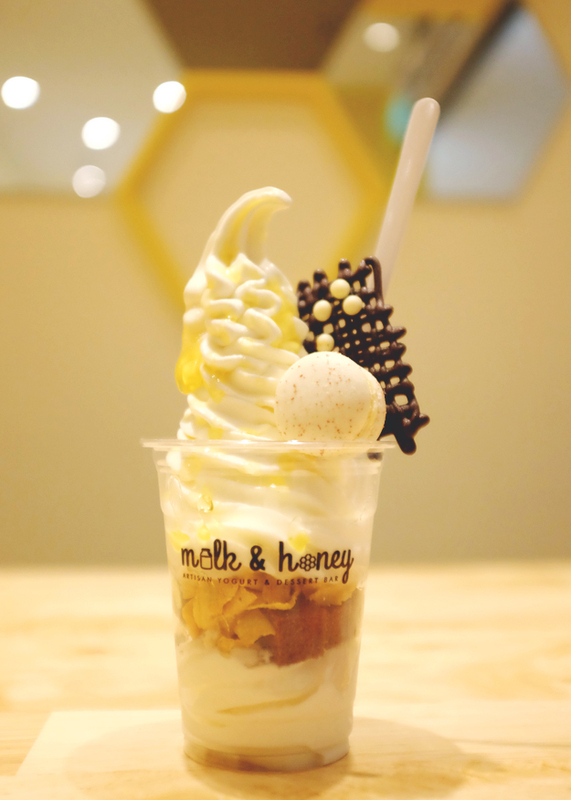 This one is also in Marina Square which is as the photo said, Milk & Honey. I like this one better than the famous Honeycreme because this one is not an ice cream, it's a parfait so it's a mix of sweet and sour which I love. This one is around SG$9. After Marina Square, we walked around Orchard road and obviously, we couldn't miss this legendary traditional ice cream of Singapore. You can find it anywhere along Orchard Road. This one is at the front of Nge Ann City and it's only SG$1.50. After a little shopping (I bought some gym clothes at Cotton On Body at 313 Sommerset) we had our dinner at Far East Plaza. I wish I remember the name of the restaurant but we were meeting up with a friend who is currently studying in Singapore and he suggested this place so yeah.. It's located at the 5th floor, Susan Chan something, if that helps. Apparently, salted egg yolk everything is very in and this one really lived up to the hype. Highly recommended! Everything else was really good too. The next day, bright and early we took MRT to Jurong to eat like a local and visit NTI food court. We had cing cong fun, drink barley, and this peanut butter waffle is everything!!! I mean, I will most definitely come back just for this waffle. 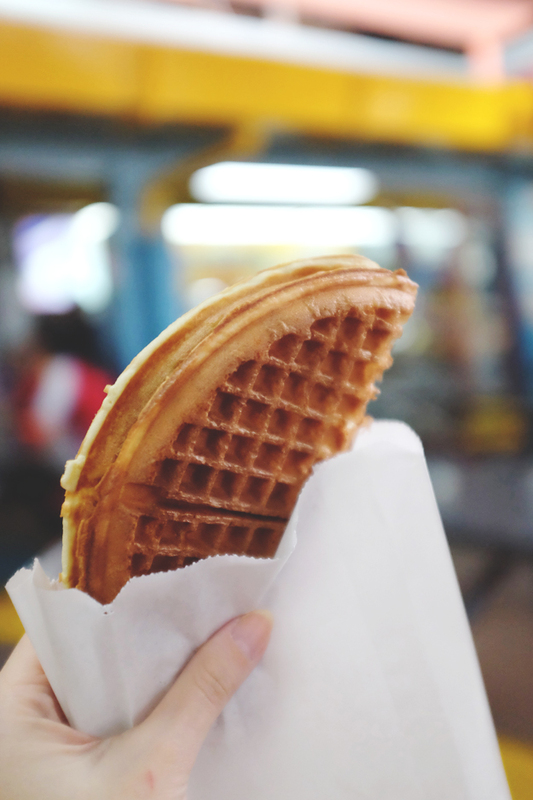 It was the most moist, softest waffle with the peanut butter melting in just the right amount. The tenants don't really speak english here so brush up on your Mandarin. then we head to Jurong Point to shop for some snacks. Then, we went straight to Suntec to Aston's to get our steak fix. The above photo is Pepper Steak (SG$15) and Fiery Chicken Steak (SG$9). Now to the highlight of this entire trip (for me at least) which is Future World exhibition at ArtScience Museum. The entrance fee is SG$17 per person. The place was crowded and there were so many fun exhibit that I'm thinking about doing an entire post about this place. 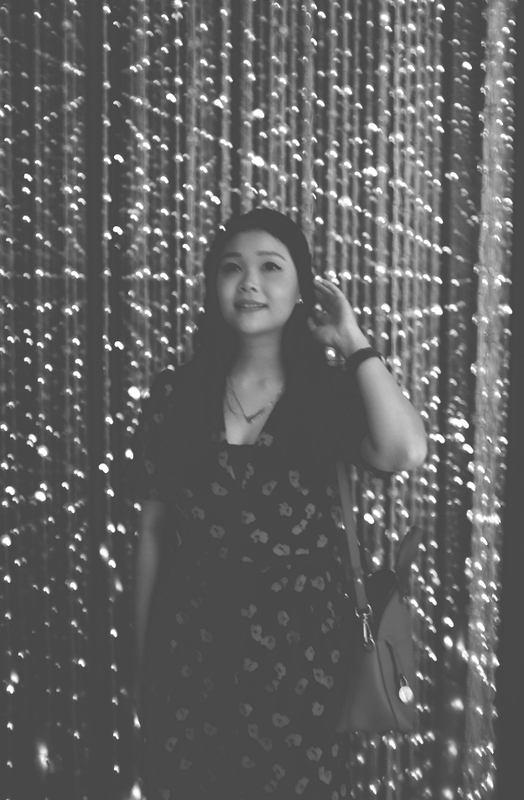 Anyway, that's just me posing in Crystal Universe exhibit. If you have son/ daughter/ nephews/ nieces, they are going to have a ton of fun here. Next stop was Chinatown and I kinda like the vibe. I haven't visited Chinatown in a while but as it turns out I don't hate it! We had an uneventful dinner of chicken kung pao rice and head straight to Mei Huong Yen Dessert place. Their durian ice shave is pure heaven. A must! 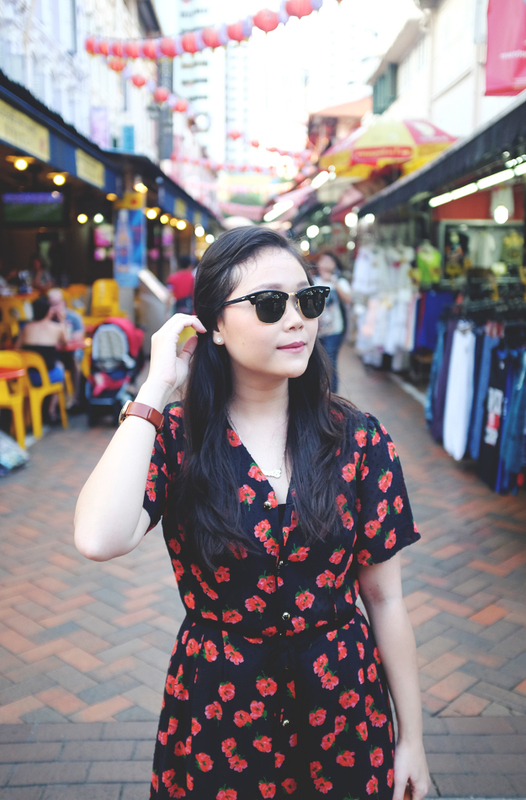 On the third day, our first visit was Bugis but we didn't take any photos there. Then we went to Vivo and this golden croissant at the front of Breadtalk is so good. Worth to try! For lunch, we trust Food Republic to satisfy our hunger and this chicken katsu curry rice did not dissapoint! Yong Tau Fu also a favorite menu. To cool off, we had hazelnut iced chocolate at Max Brenner Chocolate. Very yummy! We then went to Holland Village for Yoshimaru Ramen but unfortunately the place was closed. They only open from 11AM to 3PM and then 6 to 11PM. We got there at 5PM. 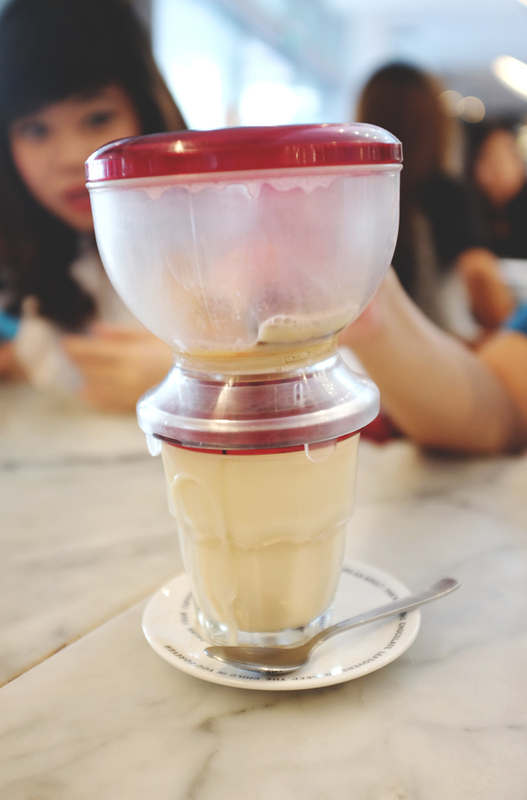 It was quite a bummer because I was really looking forward to try this but we cheer ourself for some pastry at Tiong Bahru Bakery (this one is at Tangs Plaza Orchard). Dinner time, we make our way to Spize and their prata is good! I'm not a fan of indian food and if you're like me, there are pasta and steaks available. But you should definitely try their prata. 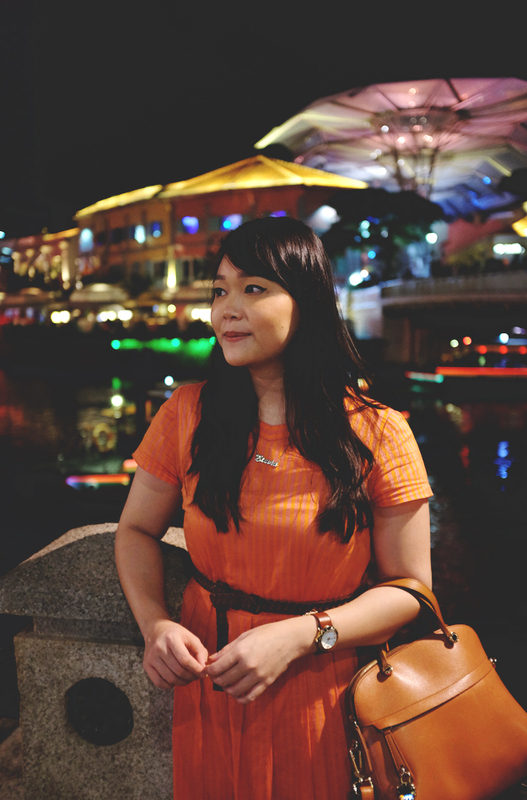 Ended our day for some night strolling at Clarke Quay. Charming as per usual. Last day, we went to AEIOU Cafe to get our coffee fix. After that is the airport, because we don't want to be late for our 4.30 PM flight. 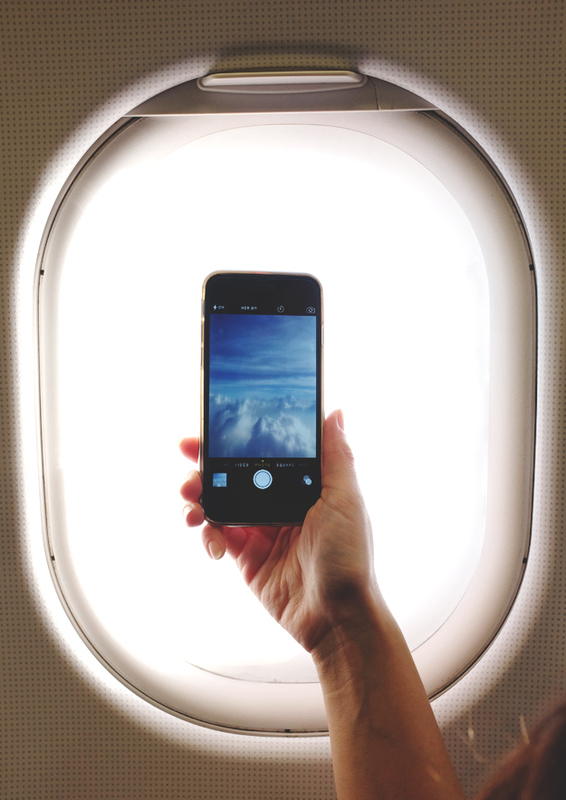 Apologies for so many photos but that is the end of this post and I will see you on my next post. Have a great midweek all!